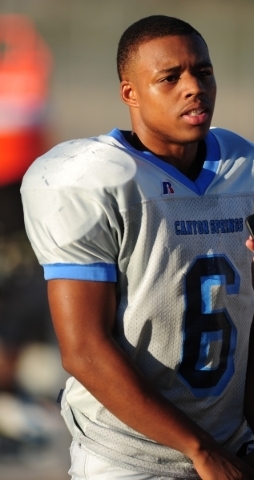 Canyon Springs has played just one league football game. But senior running back Jerrod Blackwell knows the team must turn things around quickly if the Pioneers are going to rebound from a slow start. “Conference play just came, so guys are really encouraged to go out and do better, because this is when it really counts,” Blackwell said. “Just put the past behind us and go out and play now. The Pioneers (2-4, 0-1 Northeast League) will try to shake a four-game losing streak when they play at seventh-ranked Las Vegas (4-1, 0-0) at 7 p.m. today. 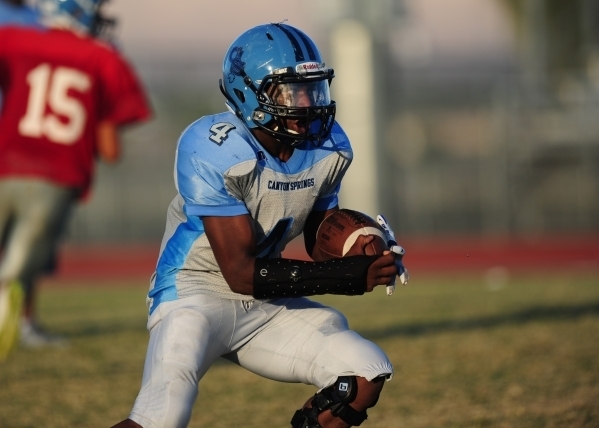 Canyon Springs has made the playoffs for six straight seasons. In fact, the Pioneers have earned a home game to start the postseason in each of those seasons, after finishing either first or second in the Northeast League. Canyon Springs is the defending league champ. The slow start has that string of home playoff games in jeopardy, and the Pioneers are eager to rebound against the Wildcats. 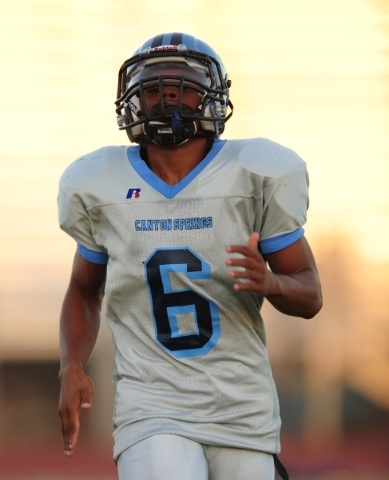 Canyon Springs has struggled offensively all season, scoring a total of 75 points in six games. And while the defense was strong early, allowing 19 points in consecutive victories to start the season, things have gone awry on that side of the ball as well. 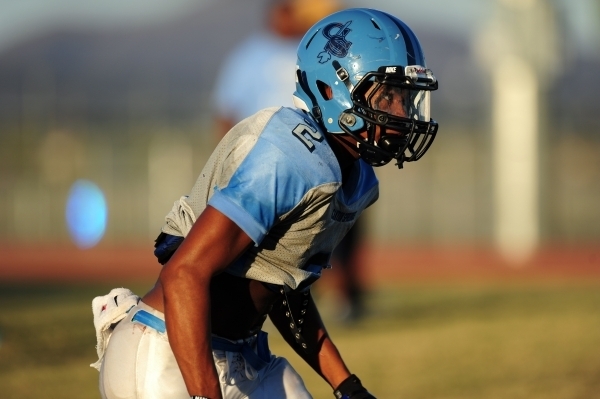 Canyon Springs has given up 84 points in the past two weeks and 142 over the past three games. Although the team gave up 39 points to second-ranked Liberty in the league opener last week, there was reason for optimism. The Patriots scored only 11 points in the first half before wearing down Canyon Springs in the second half. Jones said getting healthy may well be the key for his team. Jones said his team is starting to get healthier, and a key tonight could be the return of center Ernesto Trejo, who has missed the past three games with a knee injury. The coach said running back Diamante Burton also would return against the Wildcats. But Jones and his players know the Wildcats pose a stiff test. Las Vegas handed Canyon Springs its only league loss last season, beating the Pioneers 30-27. Minor said the slow start is just something the team will have to overcome as the players get ready for a stretch run.